I like to look at old cars online. I especially like the old convertibles. 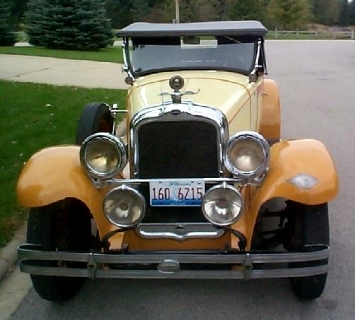 This 1928 Oakland came for auction from a fellow in Pennsylvania. I bid on it and won. Immediately a competitor bidder from Trinidad said that he wanted the car and asked if I would sell it to him. I set the price. He agreed. Monies were transferred and the car went to Trinidad. I never saw it except for these photos. I made a nice quick profit, though I would have loved to take it around the block, at least once. Here is some interesting trivia about how the Pontiac got it's name. 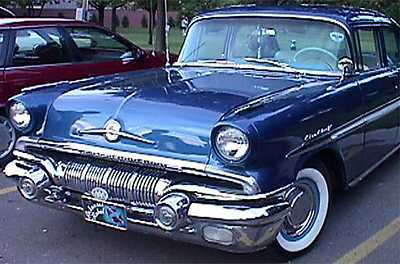 It was built by the Oakland Motor Co., founded in 1907, in a buggy shop on Oakland Ave. in the city of Pontiac, Oakland County, Michigan. In 1926 Oakland's general manager, Alfred R. Glancy was credited with the name when upon taking over Oakland said, "When I got to the plant I found designs for it hanging on the wall and over them someone had written 'Pontiac'". Yet when he got ready to christen the first Pontiac in 1926 with a bottle of champagne, he claimed the car was named after Chief Pontiac, who led the Ottawas, Chippewas, Pottawatomis and Miamis in a powerful indian federation in the mid-eighteenth century. Glancy stated, "If this was Chief Pontiac doing this, he wouldn't be breaking the only bottle of champagne in Oakland County, he would be drinking it". Remember this was during prohibition. So, take your pick. Was it after the city of Pontiac, or the name Glancy found on the wall, or the Indian Chief Pontiac? I'm not sure which, myself. Elegantly styled 1939 Pontiac had a new streamlined appearance centered around "Silver Streak" trim. Headlights rested on front fenders. It could be ordered with straight six- or eight-cylinder engine and with conventional running boards or with "body skirts." In 1906, Edwin Murphy, who owned the Pontiac Buggy Co in Pontiac, Mich., and who wanted to get into the new automobile business, met Alanson P. Brush, who was already in the business, having helped Henry Leland design the first Cadillac. Brush seemed like the right partner for Murphy. 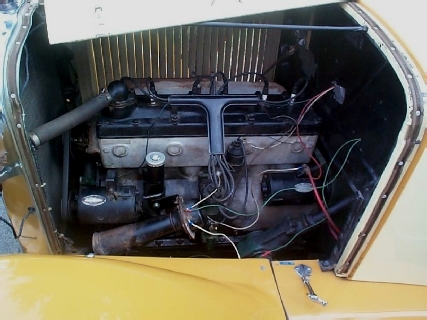 Brush had a two-cylinder engine of unusual design, a vertical engine which rotated counterclockwise. It had been rejected by Leland, but Murphy was ready to give it a try in a new car he christened "Oakland." The engine worked, but the car did not sell well. Brush left when Frank Briscoe offered to finance him in building his own single-cylinder Brush Runabout. Murphy met with another former buggy man, William Durant, who was putting together his General Motors empire and the Oakland became a charter member of GM in 1909. 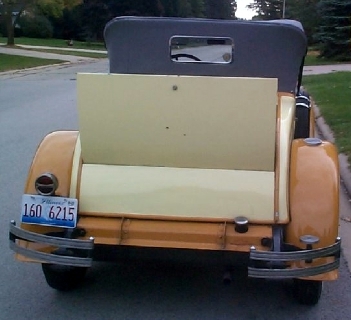 This 1910 Oakland Roadster, built in Pontiac, belongs to Benjamin Jonas, of Belding, Mich. 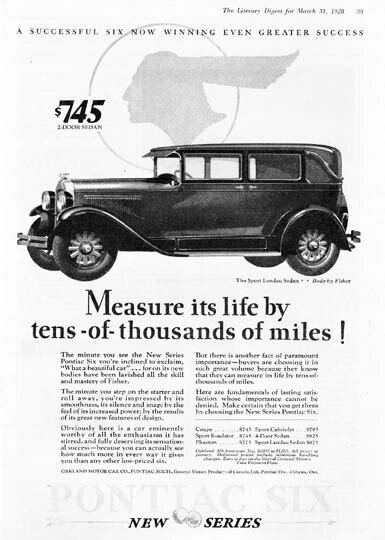 The Oakland was upgraded to a four-cylinder car and sold reasonably well. But at the beginning of the 1910 model run, Murphy died at 44 and an already extended Durant managed the Oakland, which became a solid fixture in the GM stable. 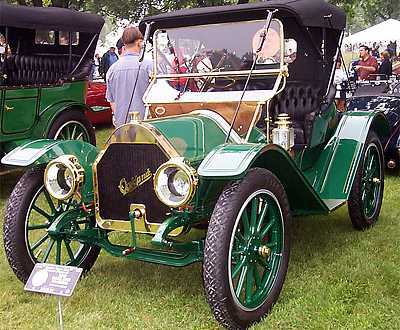 By 1916, the Oakland was available with a four, six or V-8 engine and sales topped 24,000 units. Durant was forced out of GM in 1920 when his stock market fortunes sagged and Oakland Motor Co. was taken over by George W. Hannum. In 1924, Oakland got a new L-head six-cylinder engine, four-wheel brakes and DuPont's new Duco lacquer finish in a special blue. The car was promoted as the "True Blue Oakland Six." Despite strong sales, Hannum was eased out and replaced by Alfred R. Glancy. GM CEO Alfred Sloan had plans for Oakland. Sloan ordered that a smaller "companion car" be built by Oakland, sharing parts with Chevrolet and filling the market niche between Chevrolet and Buick. This car was the first to be created to fill a particular market need. The car was called the Pontiac, after the city in which it was built (the city of Pontiac was named after an Indian chief important in Michigan's history and is located in Oakland County). In 1926 the Pontiac was introduced and it set a sales record for any first year total to that time of 76,676, eclipsing the previous maiden-year record set in 1924 by Chrysler. Pontiac's record would stand for only one year, falling to Graham-Paige in 1927. 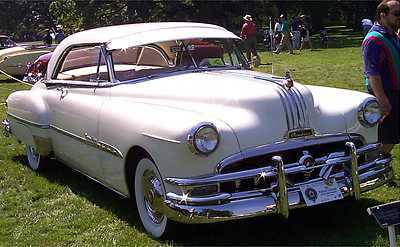 The Pontiac was a milestone car because it was ordered built by General Motors CEO Alfred P. Sloan to fill a particular market slot and to share parts with other car lines. In its debut year 1926, it set a first-year sales record. This 1927 Pontiac, in the collection of the late George Crocker in Nag's Head, N.C., was virtually unchanged from the '26 model. 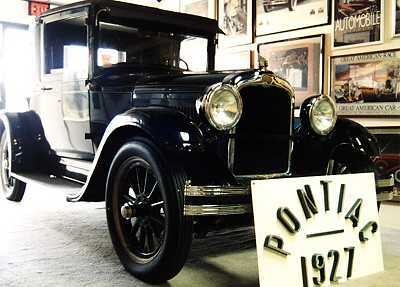 That first Pontiac had a 185-cubic-inch six-cylinder engine and all the '26 models were closed bodies on Sloan's orders. Sporty roadster and cabriolet were added for 1927, four-wheel brakes for '28 and a bigger 200-inch six for '29. The Oakland was dropped in 1931, a response to the stock market crash of '29 and the resulting Great Depression. Oakland Motor Co. became Pontiac Motor Co. In 1933, Pontiacs were equipped with straight eights across the board and sold as "the big straight eight in the low-price field." And in 1934, Harry Klingler, supersalesman who had led Chevrolet to the industry's No. 1 position in sales, became general manager of Pontiac. 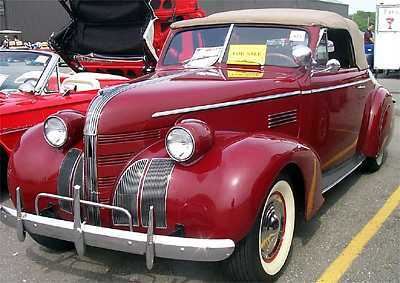 Pontiac adopted its trademark "Silver Streak" trim of strips down the middle of the hood in 1935, which it retained through 1956, and by the beginning of World War II, Pontiac was the fifth largest selling nameplate, on the basis of offering high-price car features on a lower-priced car. 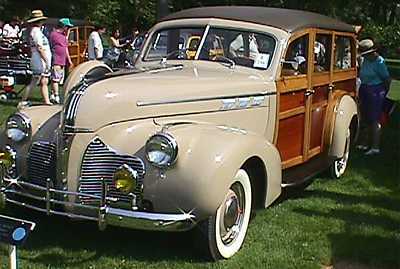 This 1940 Pontiac Special Six woodie station wagon featured a longer body and headlights blended into front fenders. The "Silver Streak" styling device is still used. While this approach appealed to a wide range of buyers, it also developed a reputation for Pontiac of a middle-of-the-road car. Pontiac had become a stodgy car with limited market appeal, a car for conservative old men and little old ladies. A "plumber's car," as a new management team at Pontiac assessed it. In 1956, GM President Harlow Curtice surprised the industry by naming Semon E. "Bunkie" Knudsen, a young (40), ambitious engineer and son of the legendary William Knudsen, to head the ailing Pontiac Division. Knudsen decided the car needed a more exciting image and that the best way to do that was to, in fact, make the car more exciting. To help him do this, he hired an even younger engineer with plenty of ideas and ambition to match Bunkie's -- John Z. DeLorean. DeLorean, not yet 30, was an engineering boy wonder, first at Chrysler Corp., then at Packard, where he was head of research and development. Knudsen offered him a similar post at Pontiac. Knudsen, his chief engineer, Elliot "Pete" Estes, and DeLorean secretly launched a stock-car racing activity -- secretly because GM had agreed in 1955 along with the rest of the industry not to engage in factory racing efforts. 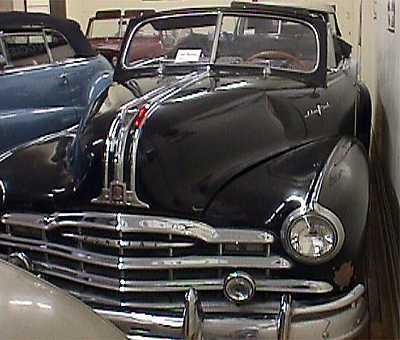 This '48 Pontiac Deluxe convertible is in a museum in Williams, Iowa, created by Daryl Hemkin, who collected convertibles over the years from the '40s and '50s. In 1959, the Pontiac "Wide-Track" was born, a styling event rather than engineering. In the early '60s, a buyer or a dealer who knew what to look for in the Pontiac catalog of optional equipment could put together a racing machine, a factory hot rod. In 1963, a dealer in Royal Oak, Ace Wilson, began marketing -- with the help of Jim Wangers, of Pontiac's ad agency, MacManus, John & Adams -- a high-performance "custom" car made of stock Pontiac options. He called it the Bobcat. Part of the Bobcat package was the name, made up of rearranged letters from Pontiac model names and affixed to the car to let the world know that the owner had something special. The Bobcat was both a financial and esthetic success and in its Tempest form it was a preview of the Pontiac GTO, which came out in '64, just beating the Ford Mustang to become the first "muscle car." The GTO was the car all succeeding muscle cars would be judged by. Ironically, the GTO administered the coup de grace to the old-fashioned hot rod, because very few individuals could build one as cheap or as fast as the GTO. Only Ford and Chrysler Corp. had the resources to challenge it. And they did. This '51 Pontiac Catalina displays GM's new "hardtop convertible" styling of that era. Pontiac retains the "Silver Streak" styling feature. Estes later became president of GM and Knudsen and DeLorean probably would have also, if they had not become impatient and quit GM, Knudsen to head Ford Motor Co. for a brief tenure and DeLorean to launch his own sporty car venture, built in Ireland, which resulted in him being arrested by the FBI in Los Angeles in a drug sting. When the GTO and the Mustang hit the market, gasoline was cheap. But the muscle cars were on the way out before the first oil crisis in the early '70s, killed not because of the abandon with which they gulped fuel, but because smog and the toll of highway death and destruction were changing American attitudes toward the automobile. In 1958, a full-size model called the Bonneville set in motion a series of high-performance car launches by Pontiac, including the Grand Prix in 1963, the GTO in 1964 and the Firebird in 1967. After the end of the muscle car era, Pontiac introduced the Grand Am in 1973 and the Fiero in 1984, a car that attracted much attention with its plastic body panels and mid-ship engine. But a series of problems cut its run short. This '57 Pontiac Star Chief at a Woodward Dream Cruise was the first Pontiac model without the traditional "Silver Streak" stripes down the hood. In 1990, Pontiac built its first minivan, the Trans Sport, a radically styled van with plastic body panels. It has been replaced by the more conventional Montana and PontiacÕs first sport-utility vehicle, the Aztek, has received a positive sales reception. Pontiac continued to claim in its marketing that "We Build Excitement," but has discontinued its muscle cars and recently dropped the Firebird. Pontiac has been teamed with GMC Division at GM, which strengthens the Pontiac line as trucks take a larger share of the automotive market. As GM continues to study itself, Pontiac's role becomes less clear. Chevrolet builds GM's excitement now and its truck offerings mirror GMC's. Oldsmobile is being dropped because another mid-range luxury car is not required. So Pontiac, the car that was launched for a specific market reason, is seeking a reason for being. 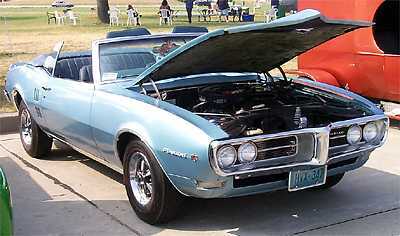 The first Pontiac Firebird was introduced in 1967. This original '68 Pontiac Firebird 350, largely unchanged from '67, belongs to Ron Johnston of Ontario.